i love the sea (have we talked about this before?) and i am currently wrapping up edits on a coastal winter wedding. as a wedding photographer, i’ve been lucky to have had the opportunity to shoot some pretty awesome weddings near or overlooking the water – wedding venues such as the Harvard University owned CRI Rowing new modern Boathouse on the Charles River in Boston, the famed Hammond Castle in Gloucester, the newly built Duxbury Bay Maritime overlooking the bay, the Charles River Museum of Industry & Innovation in Waltham, MA, Cohasset’s historic 1704 Red Lion Inn. a few of my coastal weddings for 2010 include the White Elephant Hotel on Nantucket Island and Newport, Rhode Island Oceancliff Hotel. 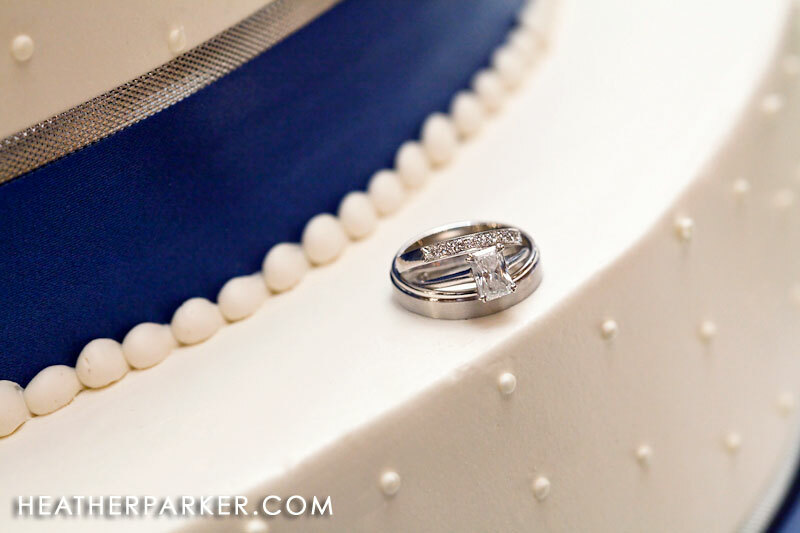 many of my clients who have seaside or island weddings go with a navy or nautical theme. i am currently wrapping up edits on a wedding that was carefully decorated with a classic New England navy blue color theme. 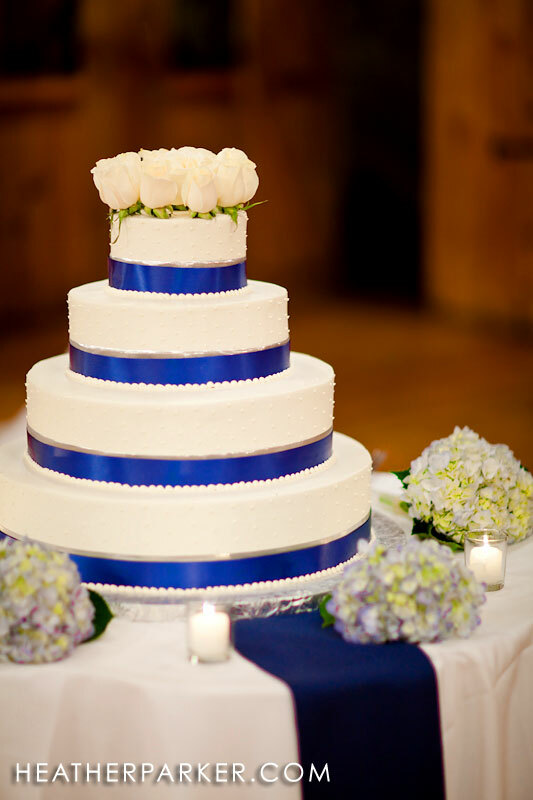 below are some photos of a wedding cake with a blue ribbon from the world renowned wedding bakery Konditor Meister. This particular cake was a round, four tier wedding cake, covered in light ivory buttercream frosting with a wide navy ribbon overlaying a narrow champagne ribbon at the bottom of each layer and swiss dots decorating the entire cake. The top and bottom layer was carrot cake with cream cheese filling, the second layer was chocolate cake with oreo filling, and the third layer was gold cake with Grand Marnier filing and fresh strawberries. Are you hungry yet?